collected by smart devices and sensors placed on roads in smart, connected or autonomous vehicles, as well as in commercial airplanes, can deliver critical insights into usage and behavior patterns and drive input to system design and operational optimization. This presentation provides an overview of several use cases of IoT machine learning and data-driven optimization, namely crowd sourced real-time road traffic maps, and the analysis of airplane sensor data for prediction of critical device failure, as well as the optimization of air cargo traffic. 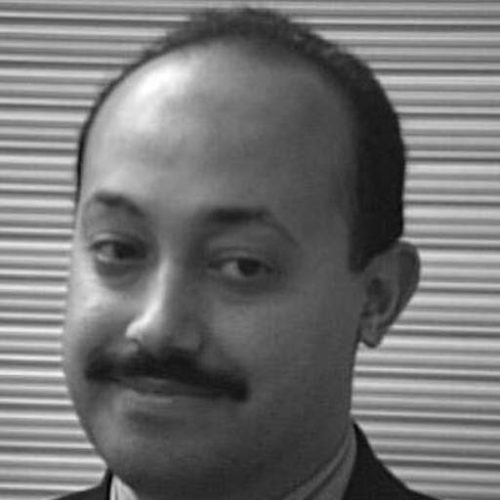 Dr. Hosein Badran is an internationally recognized C-level telecommunications expert with broad experience in telecommunications networks technologies, telecom regulatory framework, Internet governance, technology policy, national digitization and digital transformation initiatives, cloud architectures and services, IoT and machine-to-machine communications, cyber security, and ICT for Development. During his carrier spanning over 25 years, he spent fourteen years with Cisco Systems, achieving first Distinguished Systems Architect in Emerging markets, and CTO for MENA region reporting to the Office of the CTO in San Jose. He was Senior Consulting Engineer with FORE Systems (now Ericsson) in Dubai, and Systems Engineer with Nortel Networks in Canada, as well as at Siemens AG in Munich, Germany, and at Ecole Nationale Superieure des Telecommunications (ENST) in Paris, France. He spent the last three years as Director, Special Projects and Innovation, at Qatar Computing Research Institute (QCRI), a member of Qatar Foundation, in Doha, Qatar, where he lead projects dealing with machine learning and data driven optimization in different IoT and national socio-economic initiatives including smart transportation, e-health, and cyber security. Currently Dr. Badran consults in the domain of Digital Transformation and Innovation. He is an invited expert advisor at UN ESCWA (United Nations Education and Social Commission for Western Asia) in the Arab Roadmap for Internet Governance project, an initiative co-sponsored by the League of Arab States (LAS). He is a member of Steering Committee of the Dynamic Coalition on the Internet of Things (IoT), of the United Nations Internet Governance Forum (IGF). Dr. Badran holds a PhD in ATM Networks from Queen’s University in Canada (1994), M.Sc. in Teletraffic Engineering from Cairo University in Egypt (1987), and B.Sc. (Highest Honors) in Electronics and Communications Engineering from Cairo University (1985). He achieved highest awards in Cisco Sales organization, having received the Chairman’s Club Award for technical excellence, new technology adoption, and sales impact as well as multivertical and regional collaboration.